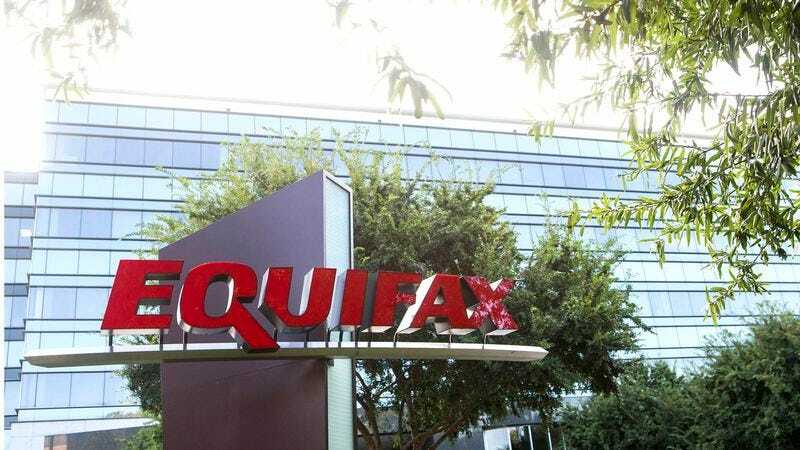 ATLANTA—In the wake of a massive data breach that exposed the sensitive personal information of 143 million customers, executives from credit agency Equifax said Friday that they were impressed by the hackers’ ability to ruin people’s finances much more efficiently than their company can. “We’re truly amazed by the effectiveness and sheer speed with which the hackers wrecked so many Americans’ financial prospects—it usually takes us years to devastate someone with a bad credit score,” said awestruck Equifax CEO Richard Smith, noting that Equifax’s traditional process of slowly chipping away at a customer’s credit rating due to late payments on credit cards with arbitrarily raised interest rates or an inability to pay off subprime loans made them “practically a dinosaur” in comparison to cybercriminals who could wipe out someone’s financial standing in mere minutes. “It’s taken us a long time to get to the point where we can ensure that someone won’t ever get approved for a loan, can’t apply for a mortgage, or might not even qualify for basic car insurance, so it’s honestly humbling to see these hackers do it in just a few keystrokes. But we’re going to learn from this and use it to motivate us to sabotage people’s finances much more efficiently in the future.” At press time, Equifax announced it had laid off 80 percent of its workforce in favor of one Latvian hacker who could destroy millions of customers’ credit ratings overnight.